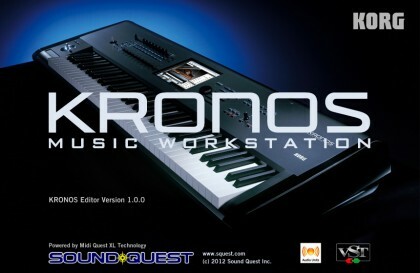 KRONOS X provides 16 internal effects to add impact to your sonic creations. Each of the 12 Insert effects can be applied to individual or multiple timbres in a combination, or to individual or multiple tracks of the sequencer. 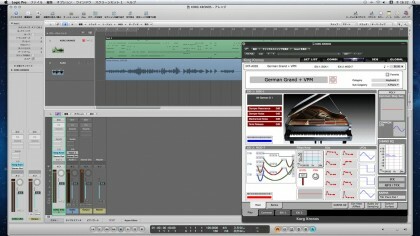 In addition, two Master effects can be applied to sends 1/2, and two Total effects can be applied to all tracks at the final stage of the sound.  Each effect offers 185 distinct effect types, covering every possible sound-shaping need. 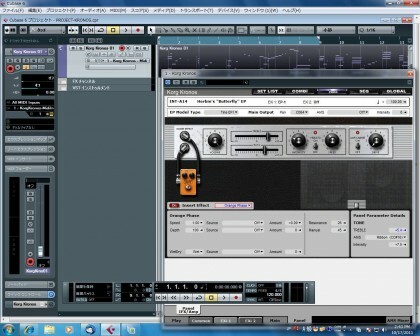 Examples include a high-resolution reverb, chorus, delay, guitar amp and cabinet modeling, and even vocoding. Each effect provides up to 72 adjustable parameters, as well as numerous real-time modulation possibilities, delivering outstanding versatility. In creating KRONOS X, we listened to many musicians from around the world. Our goal was to change the way musicians interacted with their instrument to provide a more fluid, expressive, and natural experience. At one level, this meant providing a comprehensive yet intuitive control surface. But with KRONOS X, we wanted to take these ideas even further, creating an instrument ideally suited to the way musicians play. KRONOS X features our Smooth Sound Transition technology. This powerful addition is designed to maintain any currently held, played, or sustaining notes (with their effects), helping to prevent drop-outs from occurring when you switch sounds or change from Program mode to Combi mode. A high level of technology has been applied to finally bring this sought-after ability to reality, fulfilling the requests of many musicians. 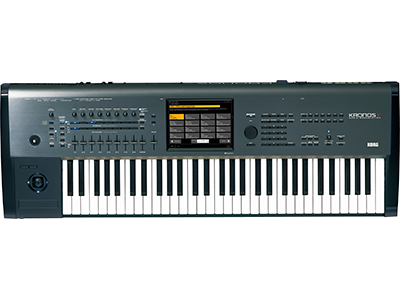 The 88-key model of the KRONOS X features the same RH3 real weighted hammer action keyboard that’s used on KORG’s upper-end piano models and on the SV-1. The hammer weighting is graded, providing a heavier feel in the lower register and a lighter feel in the upper register, just as on a grand piano, offering superb playability. Boldly, the 73-key model also features this same RH3 keyboard, creating a more compact and transportable instrument that still provides superior piano and electric piano sounds teamed with an authentic piano touch. KRONOS X is notable for its slim design, showing an integration of function and design. 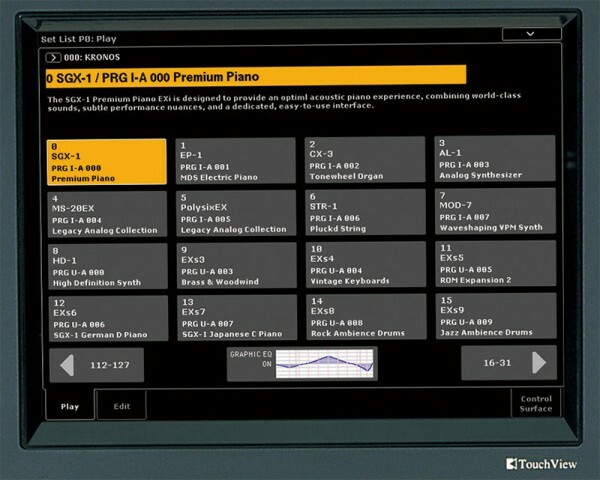 KORG’s TouchView graphical user interface is based on a large, color 8-inch (800 x 600 pixel) touch screen. The TouchView display is the centerpiece of KORG’s intuitive design, providing easy-to-view information and simple touch control. 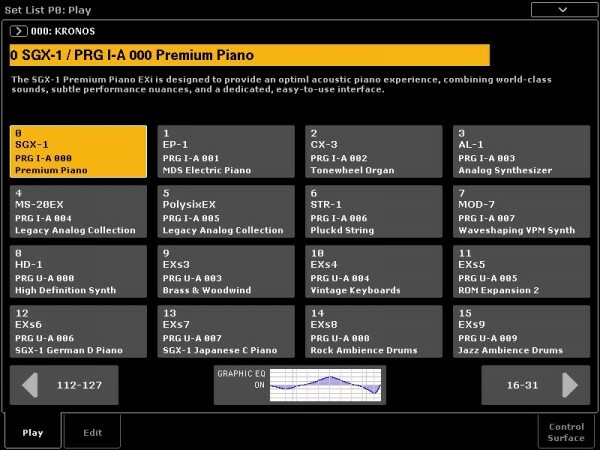 In developing KRONOS X, we also incorporated numerous images of actual instruments and their respective controls into the display, to ensure that the musician enjoys the feeling of playing an instrument – rather than controlling a machine. KRONOS X provides support for connecting USB MIDI class-compliant controllers directly to the KRONOS X. For instance, you can use a Korg microKEY as an auxiliary synth-action keyboard for a KRONOS X-73 or 88. Even better, KORG USB MIDI controllers with pads–including the nanoPAD, nanoPAD2, and padKONTROL–are automatically mapped to the KRONOS chord pads, for playing and programming drums, triggering chords, and selecting and assigning chords for Chord Mode. This USB Ethernet functionality lets you use a commercially available USB Ethernet adaptor to transmit files and data easily and at high speed between the KRONOS X and your computer. You can create backup files on your computer, send sample data at high speed from your computer to the KRONOS X, and use your computer to manage data that’s on the KRONOS X’s internal disk. 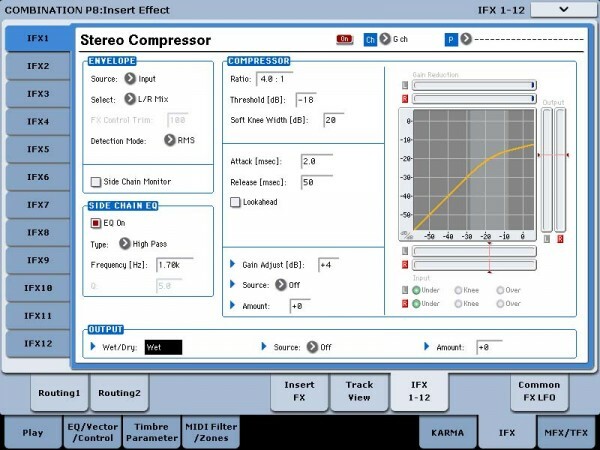 By enhancing the integration with your computer it’s now even easier to get your musical projects completed. *By attaching a commercially available USB Ethernet adapter to the KRONOS X, you’ll be able to exchange data with your computer via a LAN cable. Standard FTP software for each operating system can be used. The KRONOS X provides a total of six channels of audio input: 2 analog channels, 2 digital channels (S/P DIF optical, 48 kHz/24-bit), and 2 USB channels. As audio outputs, you have the 2 main channels (L/MONO, R) as well as four independent audio outputs, 2 digital channels (S/P DIF optical, 48 kHz/24-bit), and 2 USB channels (note: the 2 digital channels and 2 USB channels output the same signal as the main L/R output). All analog inputs and outputs support TRS balanced connections. The analog inputs provide a MIC/LINE select switch and an independent level control for each channel, offering the flexibility to meet any situation. In addition to the type-B USB connector used for communicating with your computer, there are two type-A USB 2.0 ports for use with external storage media such as flash memory, hard drives, or CD-R/RW and DVD drives. The output of the KRONOS X can be resampled to a USB storage device such as a hard drive, or connected to USB CD-R/RW drive to create audio CDs.